The challenge from Amy this week is Landscapes. And I must agree with her, searching the archives for landscapes I have traveled through brought back many fond memories. I also got reminded of my love for two English painters, namely John Constable and William Turner. Constable a naturalistic painter and Turner a Romantic – they merge into the kind of art I love the most. So, let me start with a photographic painting from the winter where I live in the southern part of Sweden. And then, some different Swedish landscapes. If we go abroad, the landscapes of course change for every country. Here are some of my favorites, starting with the Alps of Switzerland. …and in Iceland. More Icelandic landscapes are here and here. More? Here and here! Early morning dunes in Morocco – so different from the warm yellows of the evening sun! … and the vast landscape of the Tibetan Plateau – shot through a train window. We traveled on the highest built railroad in the world, and the only train running on the permafrost. Thank you for visiting, and welcome to join in the challenge! Also, be sure to tune in for Tina’s challenge next week, February 9! Your photographs took me across the globe and I wish I could pick a favourite but I can’t. It certainly inspired me to make my travel bucket list . Super post! I am glad! Thank you – love to be of help! These are all so beautiful Leya. I am so happy you like them – precious memories as well! Wow, you’ve been to some amazing places! Well, I guess we all have, but different ones! Thank you! Beautiful. And you’re right: where we grow up, the landscape defines us. I was born in a hole, that is a basin in which Ljubljana lies. We had the Alps on the horizon. I’d say the only logical step was to get out. 😀 And now so many new people are dropping in, if only for a week. Wow, such an amazing diversity of amazing places. I am glad you enjoyed them! I think landscapes open your mind. Thank you – I love them too! They are very different from where I live. Härligt! Visst blir man glad och njuter av nya landskap man möter! A wondrous selection of landscapes, Ann Christine. I would love to go to the Galápagos Islands. It looks so different from anywhere I’ve been. 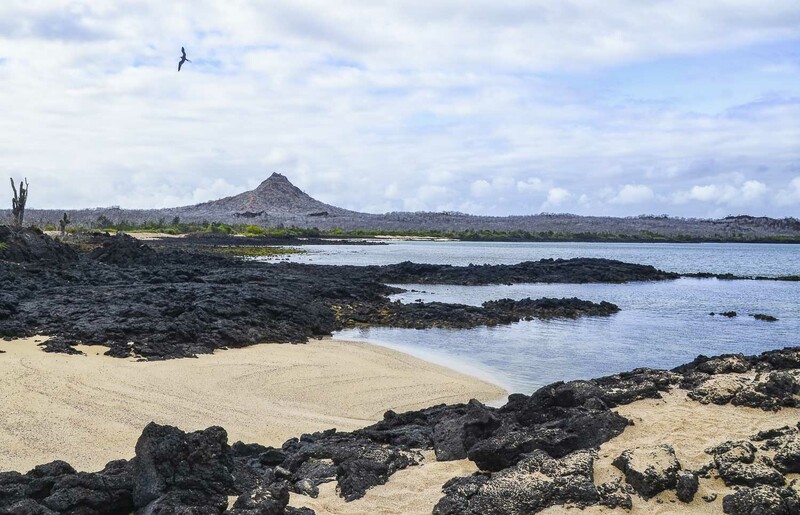 The Galápagos islands surely don’t look like anything else…I know you would have loved it! Thank you so much – a joy to share! Ann-Christine, these landscape photos are truly magnificent. I am in awe. I am very happy you like them! And there could have been so many more from NZ! Thank you, I am glad you enjoyed the pictures! ”Must see” is so individual, of course, but I would gladly share my own favorites. It all depends on what is closest to your own heart. Just as k me, and I will give it a try. you have some really gorgeous photos! I loved the one with the fields of yellow flowers. And the beaches! Thank you – rapeseed is a spring joy! You’ve been to some breathtaking places, Ann-Christine! Thank you – I am very grateful. Such varied and marvelous landscapes, Ann-Christine. Loved the dunes in Morocco, the Alps and Franz Josef. All wonderful travel memories for you, I’m sure. Thank you, Jane – it is great to look back and remember! Your shots make me realize how beautiful Earth is. I am glad – we all need to be reminded! Wonderful variety of habitats and great shots! I am glad to share it with you – thank you! I am so glad you came along, Pauline! Thank you so much for your lovely company! These are really great. You have seen some things along the way. Thank you, Gavin. We have all seen some things – but maybe not the same things! That is what makes blogging and communicating so interesting. Gone? You have lost your photos? When I was young I traveled without a camera – those memories are harder to dig out. Some are totally lost. I have thousands, but have worked out now some have gone. Too much moving around. I may still have negatives though. It’s just, I have such a big pile of negatives! Oh, moving often removes things you did not want to remove – but maybe they still are there somewhere! Maybe. Its not the end of the world. I have lost many things in life, i don’t really do regret! I know things worse though…One blogger/photographer wrote that he had started hiking Annapurna, but his camera broke – so what did he do? He left the hiking trail and returned home! Seriously! I hiked Annapurna with one film in my camera. Did you see those blogs? What blogs? Have you posted on it? No! I have section on Nepal, there is a drop down at the top of the page called the world. I wrote it like a little story. It was a cool adventure. It’s four parts though! I have read it – a marvelous adventure, but a bit too dangerous for me! I hope you enjoyed. I miss those days!! Yes well, we can’t outrun the past, only make oue peace with it. Oh, thank you, Amy! I am happy to travel with you too around the world! Glad you enjoyed the tour. These are really amazing AC, you have covered some serious ground my friend! Thank you, Tina – well, looking back over the years, maybe we all have… But different grounds. I am very grateful for all the amazing places I have been able to visit. But, you live in one of the most amazing places – Kiawah! We are at least lucky to see your photos from there. And – today I found your comment in the spam again…I cannot understand why. There are no links in your text – usually it is the links that does it. Well that’s a bummer A-C! Can u send a note to the “happiness engineers” to see if they can fix that?? I sure will, Tina. It is rather frustrating. A wonderful stroll through some memorable landscapes, Ann Christine! Thank you for walking with me, Sue! You’ve been blessed to be able to travel to so many wonderful place, A-C, and I thank you for sharing them so generously. When you say a ”photographic painting”, which is gorgeous by the way,, what do you mean? Did you use an app or edit it or did it just turn out that way? I am very grateful for everything I have been able to do and see, Janet. And My thoughts are that we all benefit from beauty and love. I am so happy to share, and as all of us here on WP share of our lives and experiences, we will all benefit and grow together. The photo in the header was processed in a program, ”Photosketcher”, where you can choose any painting technique for your picture. For this one I chose water colour. Glad you liked it too!